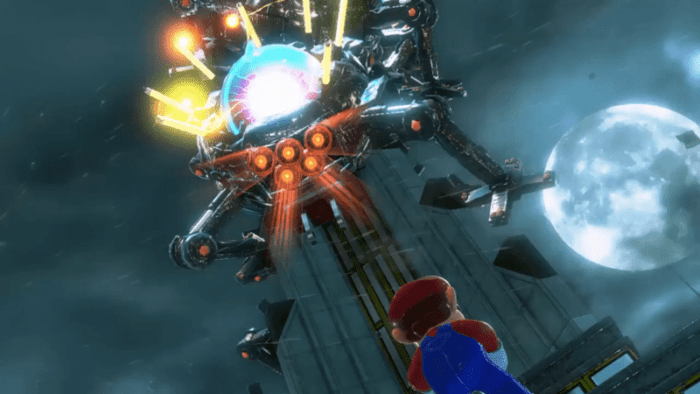 How to beat the dreaded Mechawiggler in Super Mario Odyssey. The Mechawiggler is a mechanized version of the Wiggler, a classic enemy in Mario games. The Mechawiggler is a boss fought in the Metro Kingdom. 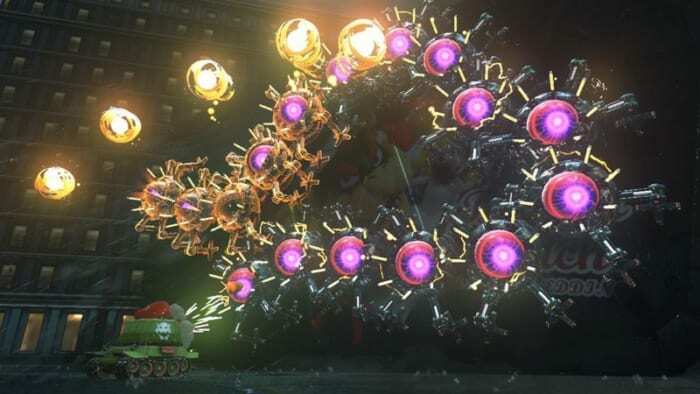 This Super Mario Odyssey boss looks like a gigantic worm robot that is based on the Wiggler, one of the signature enemies of Mario in the franchise. However, despite being based off the Wiggler, it does not resemble that enemy at all except for the usual section of circles found in a Wiggler. Instead, it has pink and blue plasma globes inserted into each segment of its body, with five glowing orange eyes near its head. There are also yellow electric rods surrounding the globes in its body. Once Mario reaches the top of New Donk City Hall, the boss fight against the Mechawiggler commences. Avoid the yellow electric balls that the boss spews at Mario and try to capture a Sherm around the area. Use the Sherm to shoot at the Mechawiggler’s weak points which are the purple plasma globes. The plasma globes go dark once you hit them, so hit them all until the entire body of the boss goes dark. After the boss stops moving, Cappy will tell you to continue shooting at the boss. The boss will then turn orange and move faster than before. It will also move around the wall of the City Hall, making it harder to shoot at. The boss will constantly do a barrage of attacks before calming down. Once it calms down, the sphere will turn pink, making it vulnerable to Mario’s attacks. Repeat this process and shoot at the Mechawiggler using a Sherm until all the globes go dark and you eventually defeat the Mechawiggler. After it gives out one final shriek, it will explode from its tail to its head. You will receive a Multi Moon once you defeat this boss.